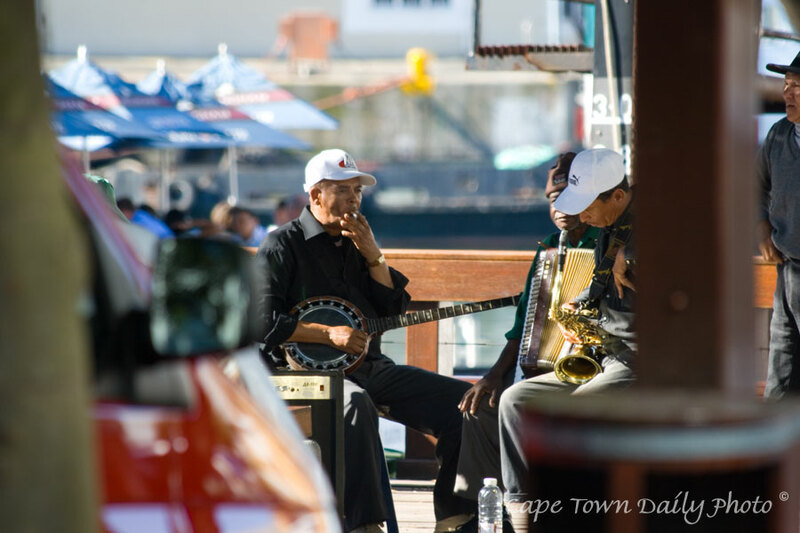 These guys have been playing music at the V&A Waterfront for years. While wandering around between shops I spotted them having a smoke break. I've never been able to understand the phenomenon of a smoke break. Colleagues at work always seem excited to share their smoke breaks... it seems to be a really social event. To get back to the musicians - in and out of their smoke breaks they add a lot of atmosphere to the Waterfront. Their music has a very holiday-like feel to it and I doubt the walkways would feel quite as festive without them. Posted in General on Wednesday, 26 September, 2007 by Paul.